The DR-9 connects to your Gibraltar Network to give you a second set of DCM faders for your Wheatstone audio console. It has four faders. Because the faders are motorized, they move as the console faders move, and therefore require no nulling to remain synchronized with their corresponding console faders. 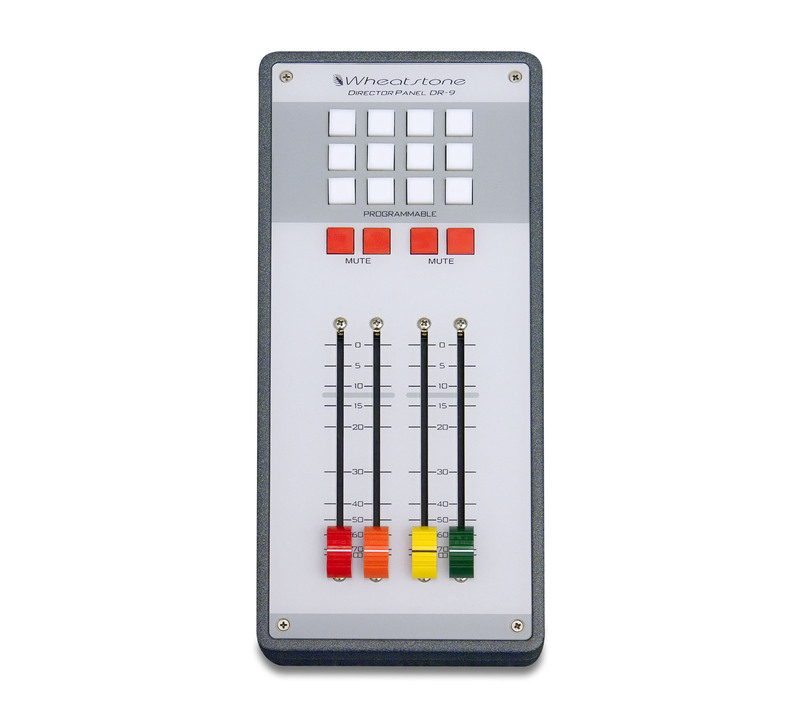 A MUTE button is provided with each fader, which operates the mute function of that DCM. There is a bank of twelve programmable buttons at the top of the panel. These correspond with the programmable buttons located on the DCM panel of the console, and can extend these functions to the reach of another person: say, a director. The DR-9 has its own power supply and connects to the Gibraltar Network via a simple Cat-5/6 cable. Dimensions: 11-3/8" x 5-1/8" x 2-1/4"